Do you have your own community or clan? Looking to start your own community? Don't want to order individual game servers? Want the flexibility to create gameservers whenever you want? You've come to the right place! We offer over 125 in over 20 locations worldwide. We offer some of the best game servers, web hosting and virtual private servers on the market with a low latency infrastructure solution no matter where you players may be! All our locations and servers are DDoS Protected and run on high-performance hardware. Don't worry about infrastructure, game costs or development, we handle all that, you just focus on growing your community. 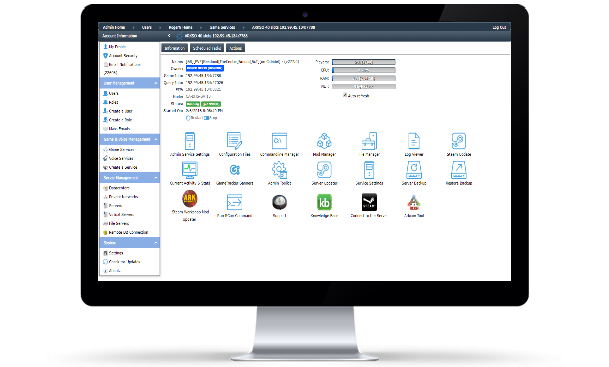 You will have full control and access over your servers through the game control panel as well as full statistics and FTP and control panel theme. We provide all the game templates, infrastructure so you only need to concentrate on your community and servers. Checkout below, the full list of game server titles we can provide to you that you can setup in one of our locations with one click. Citadel Servers offers Network coverage worldwide, providing the very best network coverage in over 20 locations, Connect to your players all around the world, with a low latency infrastructure solution no matter where you or your players maybe! Already a Customer with us? Are you a customer? Sign up here today!